One of my fondest memories when I was a child was having "school" down in the basement. My sister and I took turns playing teacher and student, until I think she just grew too old for the play. I was left with my dolls then as the students and I was the teacher always! Adding up the numbers I realized my chalkboard was probably 50 years old. I can't believe that! I can't believe I have anything that old that belonged to me. I'm old...Thank God! 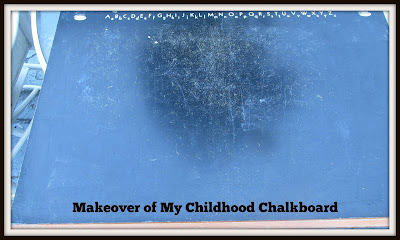 I wanted this chalkboard to be saved for my grandchildren so they too can have sweet memories too! When I found this chalkboard spray paint at my local hardware store, I knew it was possible. I first taped off the letters on top and the chalk holder on bottom. I sprayed the chalkboard three times until I felt it was ready for the wonderful grandson. I'll be hanging it in his home this week. 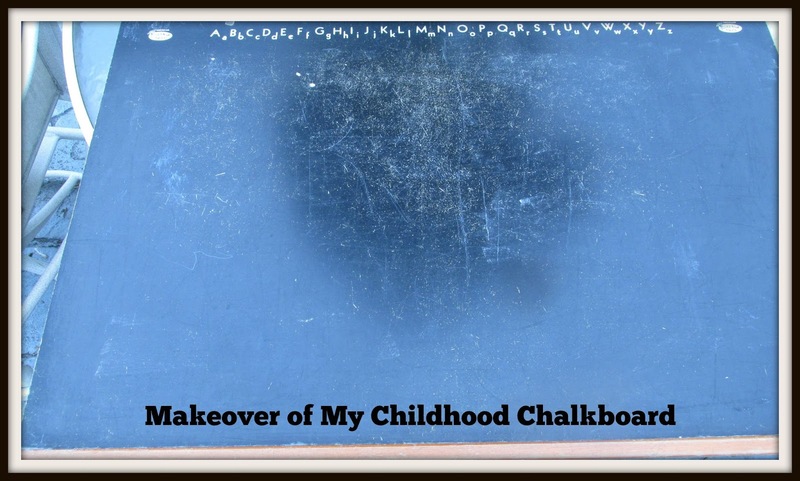 A 50 year old chalkboard renewed and the memories continue!